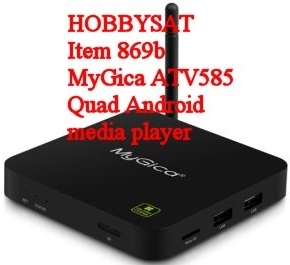 ITEM 869b - HOBBYSAT MEDIA PLAYERS - MyGica ATV 585 Quad Core Android TV Box. 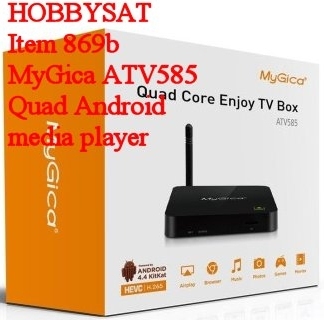 MyGica ATV 585 Quad Core Android TV Box. 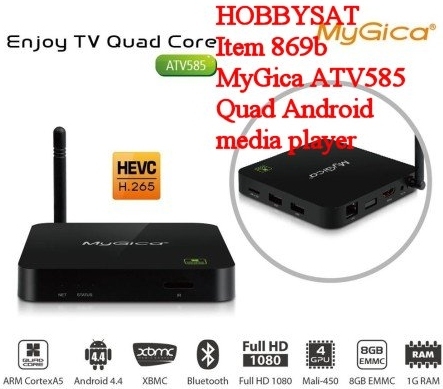 Item 869b $89.95Can or $67.13us Brand New. 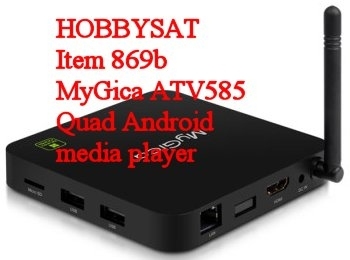 Facebook: For a very small amount, you get to play with Kodi/XBMC and the Internet! Item 869b: $89.95Can or $67.13us Brand New. 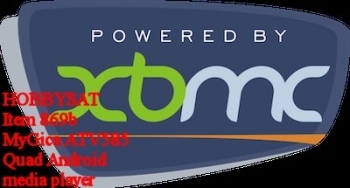 and it is revolutionary entertainment on your TV. 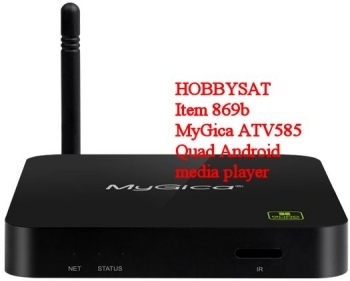 It provides a new family television entertainment experience, TV is smart from now on. 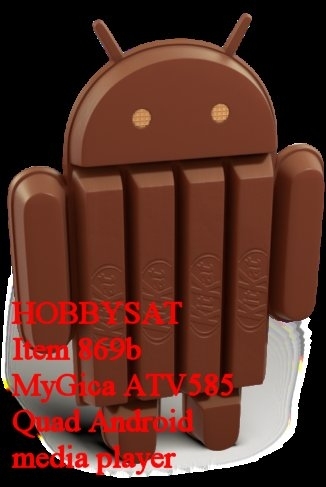 ATV 585 and share it with all your Android devices or vice versa. 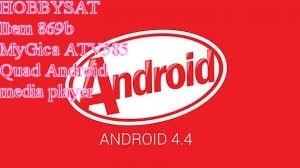 offering a limited basic edition or trial period Media Center is acceptable. 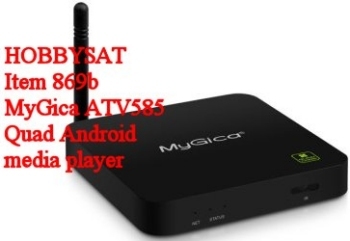 MyGica Android TV box turns any Television into a Smart TV or Converts your Existing Smart TV into a Smarter TV.